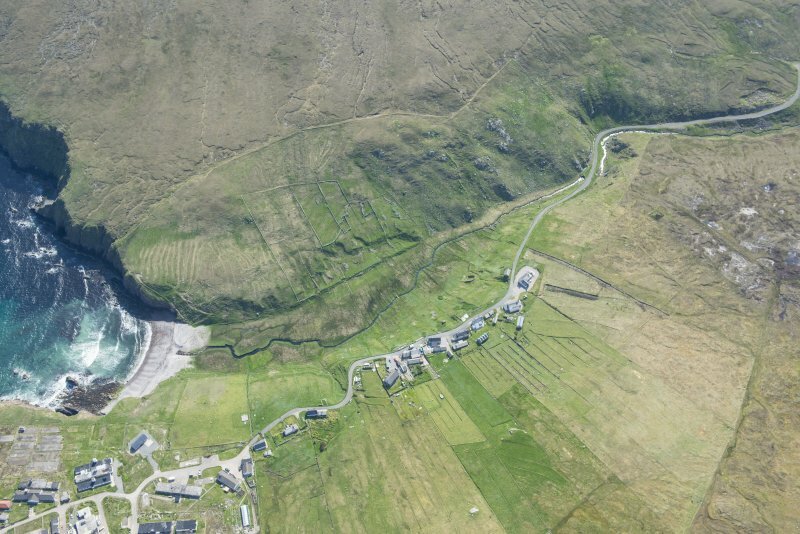 Oblique aerial view centred on the remains of the military camp and township, taken from the NNW. 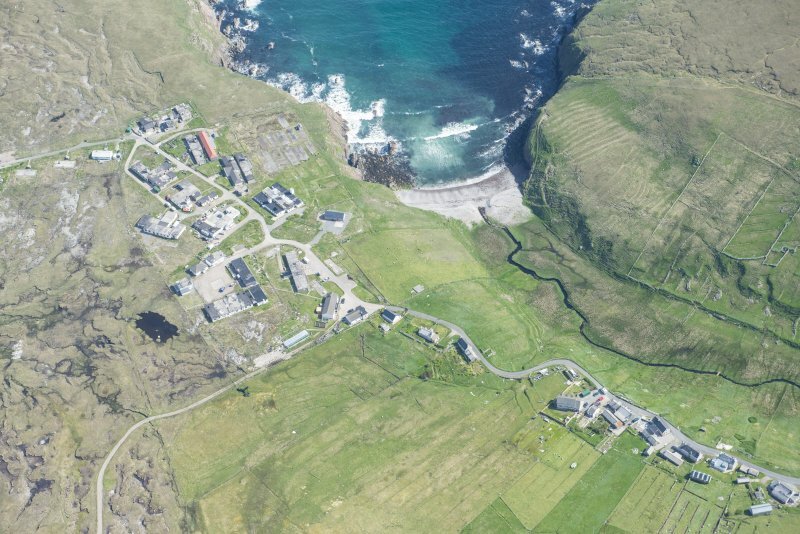 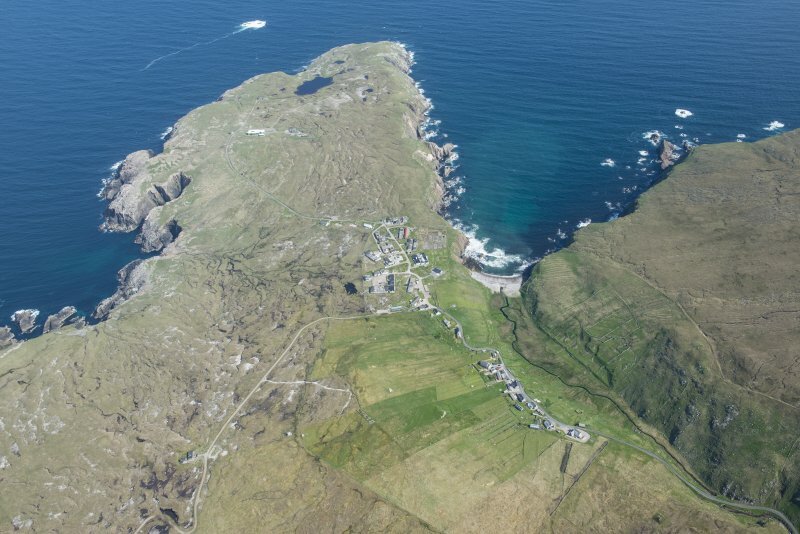 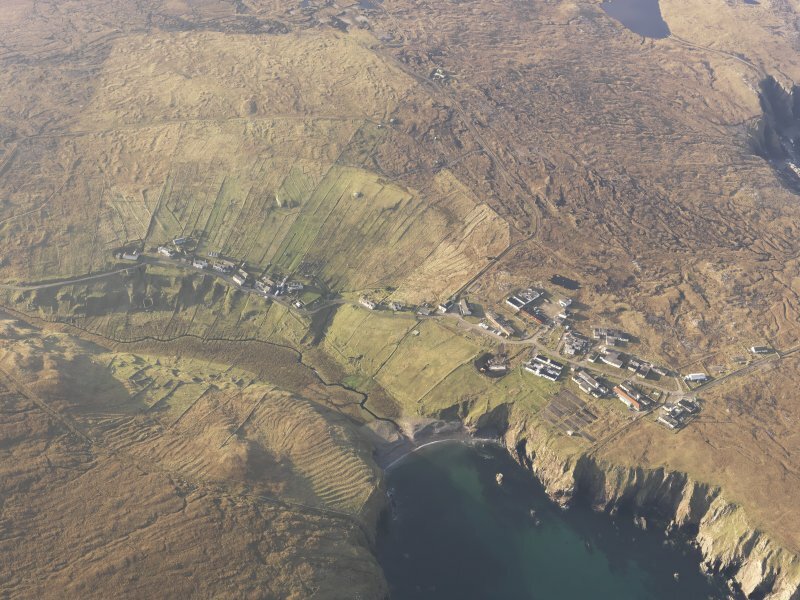 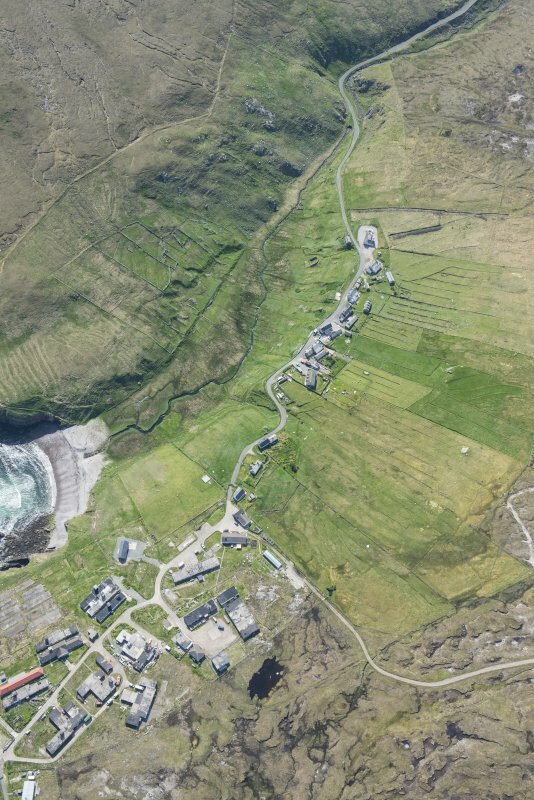 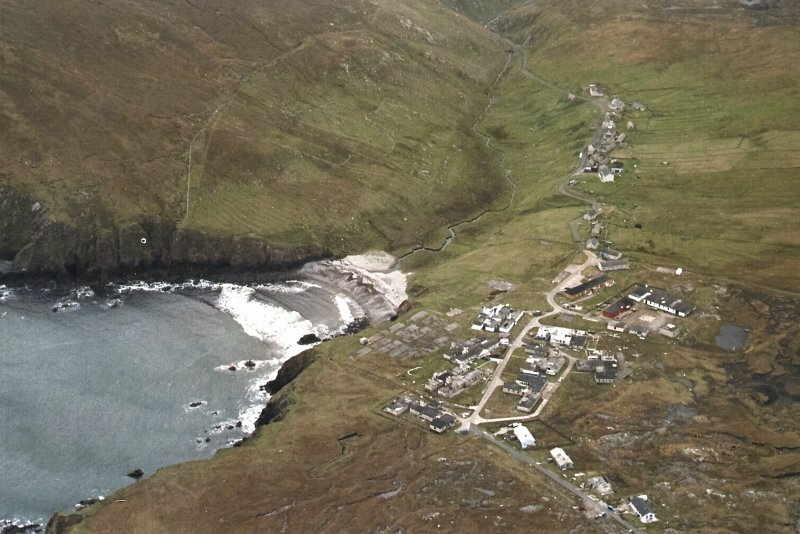 Oblique aerial view centred on the remains of the military camp and township, taken from the N.
Oblique aerial view of Aird Uig, taken from the E.
A township, comprising eleven roofed buildings, two of which are mills (see NB03NE 42.01), one unroofed building, five enclosures and a head-dyke is depicted on the 1st edition of the OS 6-inch map (Island of Lewis, Ross-shire 1854, sheet 16). 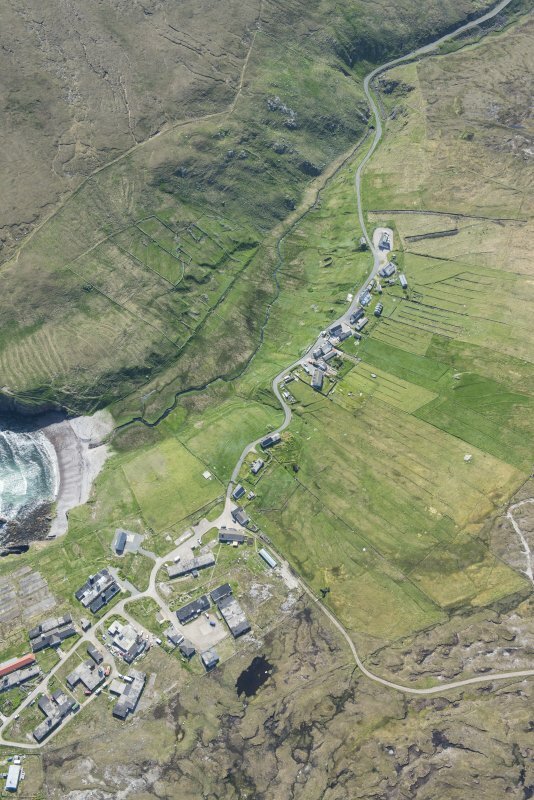 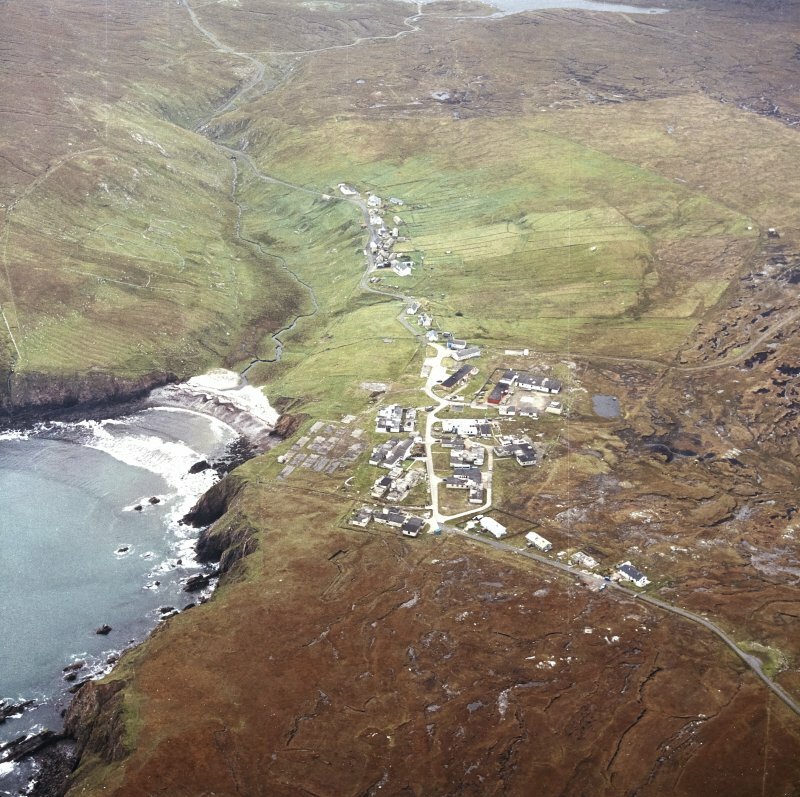 A crofting township, comprising fifteen roofed, three partially roofed buildings, one unroofed building and a field-system is shown on the current edition of the OS 1:10000 map (1974). 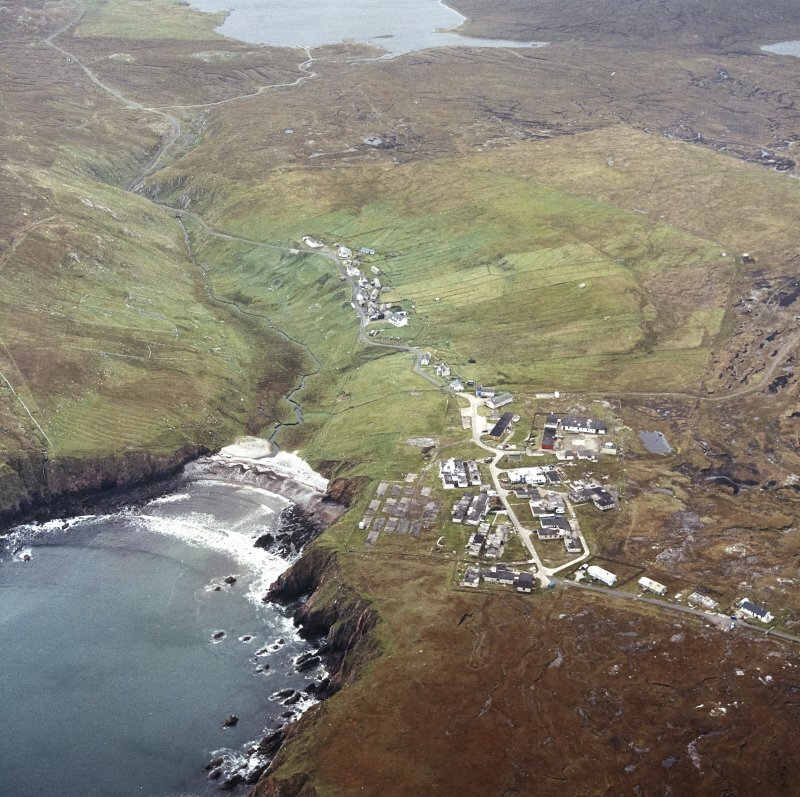 Information from RCAHMS (AKK) 19 September 1997.